by richardelliott	Posted in	Lifestyle, Skin	on 22/01/2019 . January is the perfect time to start thinking about looking after your skin, and there is no easier way to do this than by developing a regular skincare routine that easily fits into your daily life. This can be difficult if you’re a busy bee and spend most of your time rushing about. Even if this is you, you can always find time to take care of your skin. Make self-care a priority in 2019 by taking care of your complexion with a simple routine you can stick to once the initial excitement wears off. If you’re wondering how to find the perfect skincare routine, Skinstation is here to help. We understand how challenging it can be to find the one that best works for you and your lifestyle. The first step of this process is, of course, knowing the skin type you have. Is it oily, dry or a combination of both? Dry skin is characterised by a flaky, scaly or rough texture, while oily skin is usually greasy or shiny and may have big pores. A lot of people, however, will have combination skin, meaning they have dry skin in some places, like the cheeks, and oily in others, such as the T-zone (forehead, nose and chin). Some people may have sensitive skin, as well. If you’re unsure if this is your case, just think about how you feel after applying makeup or other beauty products. Does your skin sting, burn or itch? If the answer is yes, then you have sensitive skin and should opt for products designed for this skin type. Once you know your skin type, you should start by cleansing your skin. If you have normal skin, apply a gentle cleanser with your fingertips without scrubbing your face; after rinsing with water, pat your skin dry – don’t rub it. You also may want to exfoliate at least once a week to remove dead skin cells. For anyone suffering from dry skin, the best types of cleansers are the ones without alcohol or fragrances. Warm water should also be avoided, as it strips the skin of its natural oils. If your skin is oily, you should avoid any cleansers that contain oil. However, you could use warm water, seeing as your complexion already has too much oil. Using a toner afterwards, like the Obagi Nu-Derm toner , can help to keep your skin clean and shine-free. Of course, for people with sensitive skin, things can be a little harder. Make sure that you use a gentle cleanser that doesn’t have any unnecessary ingredients and that won’t upset your skin’s natural balance, like our Dr Barbara Sturm cleanser. This product is great for all skin types. The importance of moisturising should never be underestimated. You may think you don’t need it, maybe because you believe you’re still young or your skin is too oily; however, everyone should moisturise, no matter their skin type. Do it while your skin is still damp from your cleanse or, if you wish to skip that step, moisturise immediately after washing your face normally or just after a shower. Products like the Dr Dennis Gross Alpha Beta® Exfoliating Moisturiser can work wonders for your skin, exfoliating it and replenishing it with intense hydration. And the added bonus is that it also minimises the appearance of fine lines and wrinkles, making it suitable for many different ages. This is a must. You really don’t want to leave the house without applying a good sunscreen that can protect you against sun damage. Use it even if it’s not sunny outside and don’t forget to reapply it as needed. At Skinstation, we’re proud to offer products from the Dr Dennis Gross range, such as the Dark Spot Defence Sunscreen SPF 50, which will protect you against photo-ageing and sun damage. Because this product is free from chemical filters, it’s safe and effective, as well as great for all skin types. Don’t go to sleep with makeup on your face, even when you’re very tired and the last thing you want to do is clean it all off. Makeup clogs pores and can cause acne, so use a soft cleanser or remover to get rid of it before bed. The skincare routine above is simple but quick to implement, ensuring you don’t get tired or bored of it. You can add other skincare products in your daily routine; for example, our Skinceuticals Antioxidant Lip Repair is great for boosting the hydration of your dry or dehydrated lips. You may also want to add an eye cream, such as the Dr Dennis Gross Ferulic + Retinol Eye Cream, which works immediately and over time, giving you a youthful and healthier appearance in the eye area. How to Choose a Skincare Brand? · What are the ingredients? If you prefer organic or natural ingredients, make sure to always research the brand and read the list of ingredients they use. · What are your values? You may also want to consider your personal values and what’s important to you. Vegan and cruelty-free products, for instance, are very popular at the moment, including fan-favourite Dr Dennis Gross. · Which results are you looking for? Think about what you want to achieve. Do you want products that will improve the appearance of ageing signs? Are you searching for world-class hydration? Or perhaps you wish to give your complexion a glowing look? · Do you have sensitive skin? Not every brand caters to sensitive skin, so it’s important that you take this into consideration. A lot of the products you can find at Skinstation are great for all skin types, including the most sensitive ones. Is It Worth Spending Money on Skincare? The answer is a resounding yes. Look at it as an investment; if you take care of your skin now, not only will it stay healthy as you go about your daily life, but you’re also nurturing it for the future. This way, your complexion will remain healthy and more youthful-looking, be it a few months or years from now. 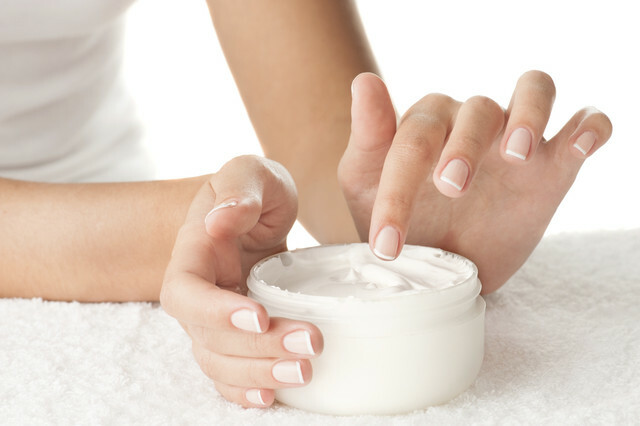 You don’t have to break the bank; just focus on choosing high-quality skincare products. By doing so, you’ll find that they’re long-lasting and offer you the results you’re seeking. Our skin is constantly exposed to the elements and to pollutants, so having a good skincare routine in place to nourish and rejuvenate it is important. Browse our vast range of products and pick the ones that will best suit your lifestyle. As stockists of Obagi Nu-Derm , as well as many other brands, we’re more than happy to help you find the perfect skincare routine for you.